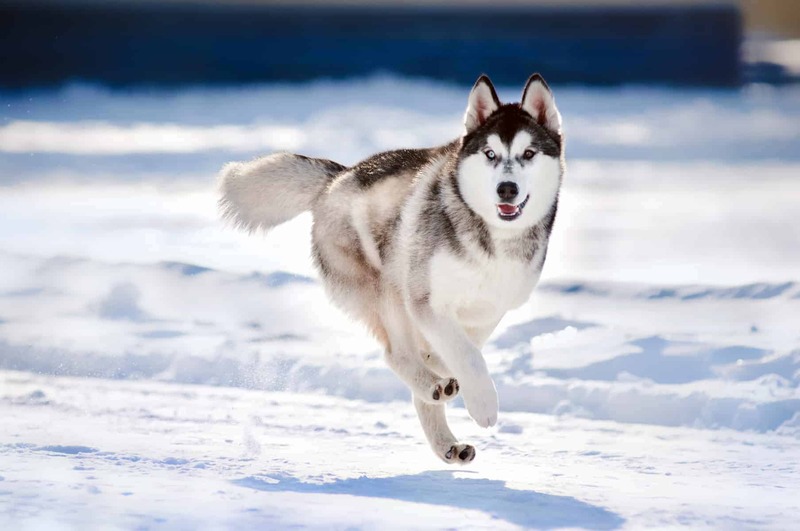 The Husky’s heritage is as a sled dog bred for endurance. That means they were “built” for running at a high pace over an extended period of time. Furthermore their natural prey drive means if a smaller animal is in sight there is a good chance they will run after it. That could be a squirrel, a cat, or a small dog. Whether their intention is to attack or just play with the other animal does not matter, they will just go for it. What this means for Husky owners is that their dog tends to have a one-track mind to chase. Dangers such as roads and cars may be oblivious to a running Husky. Even in a secluded area do you really want to spend the next few hours (or worse, days) searching miles around for your dog? Probably not. For this reason you need to consider the possibility that your Husky will never be allowed off-lead when outside your property. The risk of your dog getting in to trouble is quite high. Can you train a Husky to behave off leash? 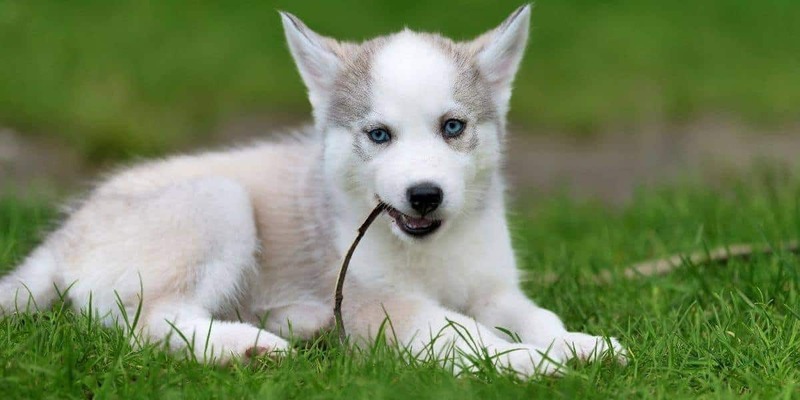 If you are disciplined in training your puppy effectively you might just be able to pull it off; have your Siberian Husky come to you on demand. After all a Husky’s temperament is typically kind to strangers. You are not expecting your puppy to cause problems with people or other dogs. By way of their independent nature, Huskies can be stubborn to train. It takes many months and years to earn the respect of a Husky, and many dogs will still not obey their owners 100% of the time. If your dog is off-leash you need that 100% assurance he or she will follow your command, instantly. Exercising your Husky every day, providing the physical and mental stimulation to avoid bad behavior is key to earning this trust, and moderating the desire to bolt. What about a deserted beach? A Husky can still run for miles along the sand, and you have to follow it. Not fun! And that’s if they don’t head inshore and in to dunes, bushland, or other areas that limit visibility. What about a fenced park? Possibly, but the park has to be designed to contain dogs. That means no gaps, and a fence high enough for a Husky to jump over. You might be lucky enough to have such a place near you. Have a look around for sporting grounds such as baseball parks or specialist dog training parks that are set up for this kind of training. What you want to avoid are areas in which you might lose visual sight of your dog. Also places where small animals roam such as squirrels. Ideally you want a field (the larger the better) that is soft for the puppy to run on and enclosed. Husky recall training is the key to reaching the end goal of feeling comfortable having your dog off leash. The ability to call back your dog on demand is critical to keeping him or her out of danger and not be a nuisance to you and others around you. Your work starts in your own yard. You should be able to call your Husky to you at any time and they will arrive. Initially you might need to use food rewards to associate your words with the desired behavior. For example if you yell “Cassie, come!” you want your dog Cassie to stop what they are doing, run up to you, stop and sit. Start by reward the dog with a small food treat when they come. When they get the hang of that, only issue the treat if they stop and obey your “sit” command. Eventually you should be able to recall your Husky and not have to issue food rewards at all. This will take time, potentially many weeks or even months. Use our ideas on giving feedback and general training tips to help get you started. Persistence and patience will be required, but the result will be a happier relationship between you and your Husky. Once you feel your Husky is responding well to you, maybe you try recall training out of your yard. The key here is to change the environment and have your dog learn that your recall command applies everywhere, not just at home. This may require a few more food rewards. We recommend trying this in another small enclosure, such as another person’s (fenced) yard, or a small enclosed park without any distractions such as other people or dogs. As your confidence grows you can try larger enclosed parks, preferably with people and dogs about. Keep working your way up until you can try semi-enclosed areas, the beach, or other relatively safe environments away from traffic and other dangerous attractions. You may never reach the point where you are 100% comfortable letting your dog off leash in urban environments but with a lot of practice you can probably have your husky run around an open field and come back to you on demand. So if you had visions of purchasing a Siberian Husky and having it follow you around and chase balls like a Golden Retriever, Labrador, or Border Collie, you need to re-think the situation. Most Husky owners will never let their animal off-leash outside their home. Sorry to disappoint but that’s one of the trade-offs of the breed! It isn’t cruel to protect your dog from harm. However if you are disciplined to deliver consistent, regular recall training over the dog’s life you might just be able to let your dog off leash in some environments. Use our training tips, particularly with positive feedback, and you will give yourself the best chance at success! And if not? Well we have some advice on leash training and what to do if your Husky is pulling on the leash.